At DePaula Used Cars, we know that used car shopping can sometimes be a drag. Regardless of what time of year it is, the used car buying process is something that most people equate to visiting a hospital or the dentist. A day people will do just about anything to avoid. For some reason, used car lots are places that people only visit when they absolutely have to. When they have no other choice. When all hope seems to be lost. When “Ole’ Reliable” just isn’t so reliable anymore. DePaula knows that this does not have to be the case. We do not want you to come in because you have to, we want you to come in and see us because you want to. This is what we do. Provide affordable, safe, reliable used vehicles. The question is why would I want to visit a used car dealership in the summer? Shouldn’t I be out at the beach, riding a bicycle or walking with the family through the park? The answer to all of these questions is a definite yes. Without a doubt, you should be doing all of these glorious outdoor activities and more while the weather is cooperative. Just keep in mind that just about everybody else is enjoying these activities as well, which means, used car dealers could be more available and attentive to your specific and individual needs. Imagine a snow squall in the dead of February. The temperature is a balmy 10 degrees below zero, and the windchill factor makes the real temp feel even more bone-chilling. Snow boots are laced up to your shins and layer upon layer of clothing hugs you underneath a large jacket. The streets are filled with snow, ice, and even salt. Snow banks are piled sky high, making entering and exiting traffic a stressful situation. Large 10-wheeled state and municipal plow trucks are thundering up and down the avenues and boulevards. Getting ready for the morning commute takes an additional hour or so after factoring in the shoveling to your vehicle, the warm-up time for the heat in the car, and the exciting task of scraping an inch of frozen ice off of all the car windows. Oh yeah, don’t forget to brush off the roof of your car before leaving to avoid creating an accident or receiving a ticket. This is life in the winter months for much of the country. Why would anybody want to try and find a used car during these almost unbearable conditions? The spring, summer, and autumn months in the northern part of the United States are enjoyable. The weather during these seasons creates a used car shopping experience unlike any other. Used car lots during the warmer months are clean, clear and better yet, without a snowflake or black ice patch in sight. This makes it so that there is very little need to rush at all, up and down the used car lot, viewing the current inventory, because of the fact that it is not unbelievably freezing outside. Leisurely strolling, to and fro on the used car lot, is much easier in the warmer months. This allows customers and family members the ability to take all the time needed, viewing and inspecting all of the vehicles on display if so wished. The ability to actually take the time, and read all of the provided information on the vehicles, such as a car’s options, extras, equipment, and even the CARFAX reports, which are now visible in the snow-free driver’s side window of the displayed used vehicles. Sandals are popular footwear in the summer months. This makes it really easy to get a feel of the soft plush carpet, (or lack thereof) on the floor of a prospective vehicle. Imagine trying that with your Timberland’s on with wool socks knee high, and the laces tied tight around the boots and double knotted. Never mind the fact that taking your shoes off in the winter is something that only a fool would even consider. When short sleeve shirts and tank tops are worn, the interior of the vehicle can be felt, literally. Whether it is made of leather, vinyl, cotton, or some other type of blend or material. Actually feeling the upholstery of a vehicle in question, on your skin, and how it is enjoyed, or not enjoyed, can be a huge factor in whether the car in question is the right fit, a possibility, or a no-go. Plus with no extra layers of clothing, bulky jackets, coats, or sweatshirts on, it is much easier to adjust and set the driver’s seat into the correct driving position. Summer months could not be better for test driving a potential vehicle. Snow banks that were once as high as the dealership’s signage in some cases have long since melted away. This makes entering and exiting into traffic anywhere an almost thoughtless maneuver – one which often proves stressful in the winter. Not worrying about your vision being restricted, a typical winter hazard, allows you to actually concentrate on the test drive of the vehicle. Steering, braking, acceleration, handling, and the overall feel or ride of the vehicle is much easier to determine, and even enjoy, without the normal distractions that winter driving involves. The summer months allow you to escape the daunting task of scraping ice and snow off of your vehicle, day after day. This goes the same for used car dealerships as well. With no snow, ice, sleet or wind obstructing your vision, simply driving by a used car dealership can give you an opportunity to quickly see if any new inventory has been added recently. Save the ice for the lattes. Summer car shopping is superior to shopping any other time of year. 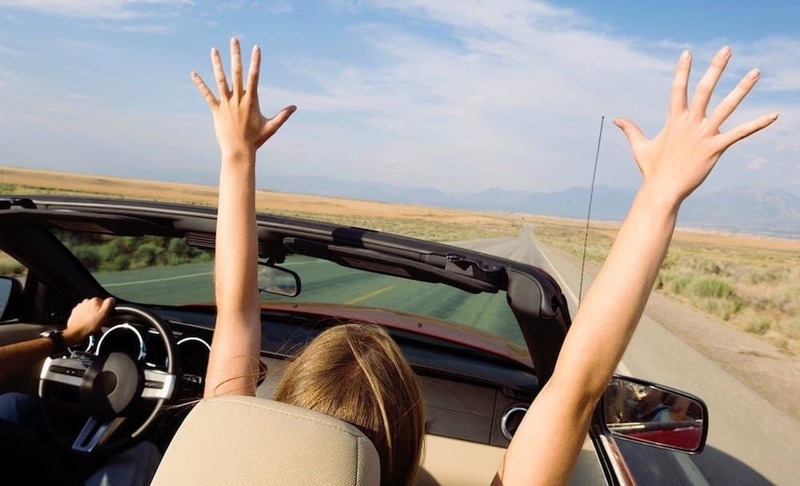 Plus, if you are considering a convertible for your next used car purchase, what better time to test drive and even purchase one than the summer months?